NASHVILLE, Tenn. (AP) — Singer Kid Rock says he followed the lead of actor Tyler Perry by paying off the layaway items of hundreds of Walmart customers in Tennessee. Store manager Tom Meyer tells The Tennessean Kid Rock spent $81,000 to pay the balances of 350 customer accounts at a Walmart in Nashville. ATLANTA (AP) — Customers at two suburban Atlanta Walmart stores received a holiday surprise when they found out actor Tyler Perry had paid for their layaway items. Perry, who intended the gift to be anonymous, confirmed the move in a video posted Thursday to Twitter. He spent $434,000 on items at a Walmart in East Point and another store in Douglasville. That covered all but one penny of the balances. 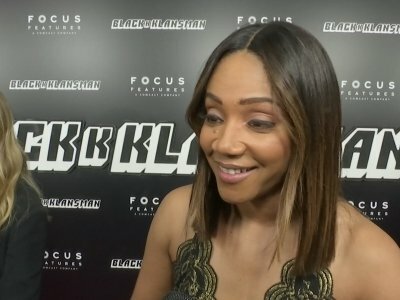 NEW YORK (AP) — By the time Tiffany Haddish turns 50, she's hoping to have 50 movies to her credit. She's got 12 years and a few dozen films to achieve it. "That's the goal," she said recently and quickly followed it up with, "They're not all gonna be great." She insists her latest movie, "Nobody's Fool," out Friday and written, directed and produced by Tyler Perry, is one of the good ones. 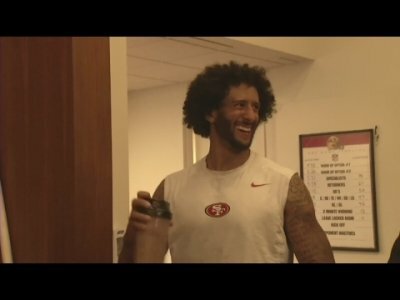 NEW YORK (AP) — At the world premiere of his new film, "Nobody's Fool," Tyler Perry hoped that "good people" from all backgrounds will "step up and do the right thing" to end the divisive speech that many believe has led to violence. 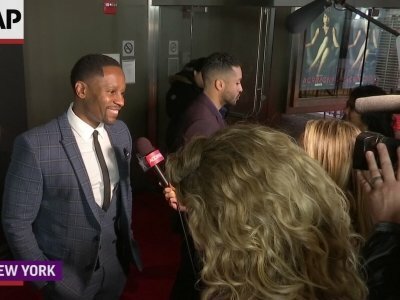 Perry, who serves as the film's writer, director and producer, expressed his anger on the purple carpet before a screening in New York on Sunday. 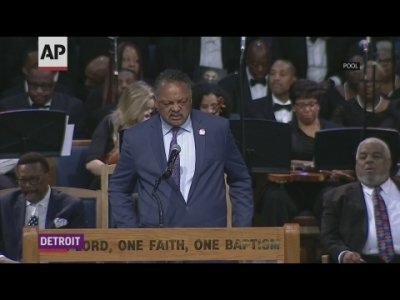 He denounced "people using their microphone and platform for division to tear us apart just to win." NEW YORK (AP) — For the first time in more than two years, a straight-up comedy is No. 1 at the box office. Kevin Hart and Tiffany Haddish's "Night School" debuted with $28 million in ticket sales, according to estimates Sunday. The race for the weekend top spot was, in the end, a laugher. Warner Bros.' animated release "Smallfoot," which cost about $80 million to make, trailed in second with $23 million. NEW YORK (AP) — Tiffany Haddish is feeling very recharged these days — thanks to her new car. The comedian is enjoying her Tesla Model X, a high-end electric vehicle that was a gift from Tyler Perry. "I can feel the electricity going through my body, feel like I'm getting recharged myself," Haddish said Monday from the red carpet of Spike Lee's "Blackkklansman." ''I think the spirit of Nikola Tesla is going through my feet as I'm driving." 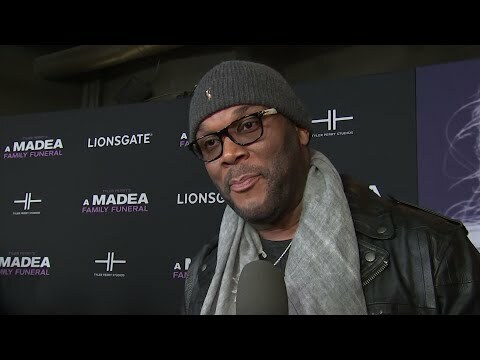 LOS ANGELES (AP) — Tyler Perry is warning fans not to get scammed. The actor, comedian and director says in a Facebook video that he's not giving away anything. The 48-year-old directed a strong comment at whoever was making the posts, saying: "Stop it, devil." JOHANNESBURG (AP) — Beyonce and Jay-Z will headline a special Global Citizen Festival in honor of Nelson Mandela in South Africa late this year. Others headlining the festival include Ed Sheeran, Usher, Pharrell Williams and African artists including Wizkid, Cassper Nyovest and Femi Kuti. NEW YORK (AP) — Game on for "Ready Player One." Steven Spielberg's virtual reality adventure launched slightly above expectations with $53.7 million over the four-day Easter weekend and $41.8 million over the three-day weekend, according to final box-office figures Monday. The opening gave Spielberg his best since 2008's "Indiana Jones and the Kingdom of the Crystal Skull," as well as 2018's high-grossing debut for anything not named "Black Panther." LOS ANGELES (AP) — Steven Spielberg has found his way back to the top of the box office with the action-adventure "Ready Player One," while Tyler Perry has scored again with "Acrimony." Studio estimates on Sunday say Spielberg's virtual reality-focused film earned a solid $53.2 million in its first four days in theaters from 4,234 locations since opening Wednesday night, with $41.2 million of that coming from the three-day weekend. 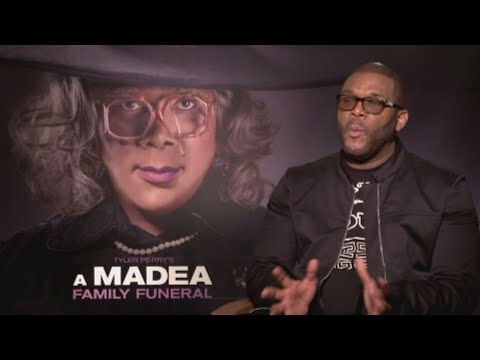 NEW YORK (AP) — Tyler Perry says he knew if he was going to have Taraji P. Henson star in his latest film, he would have to work fast. The writer-director filmed "Tyler Perry's Acrimony," his third collaboration with the actress, in a mere eight days. Perry said it was easier to film the revenge thriller around Henson's "Empire" shooting schedule because she comes in prepared for a role, and she's especially good at playing bad characters. A fire and subsequent pressure from a local university threatens a congregation's existence and challenges its pastor. With David A.R. White, John Corbett, Shane Harper, Ted McGinley, Jennifer Taylor, Tatum O'Neal. Written and directed by Michael Mason. Taraji P. Henson stars as a woman wronged by her husband. With Lyriq Bent, Crystle Stewart, Ajiona Alexus, Antonio Madison. Written and directed by Tyler Perry. A Spielbergian blockbuster, a faith-based drama and a new Tyler Perry movie are in theaters for this Easter weekend. Steven Spielberg directs this story of a virtual reality chase for clues, based on the sci-fi novel and starring one of the year’s best young casts. CLEVELAND, Ohio -- Director Steven Spielberg is back doing the kind of fantasy popcorn movie he's famous for in "Ready Player One." The film is expected to do big business with an opening weekend between $45-50 million. Spielberg should face little competition from the other two new movies in theaters: Tyler Perry's "Acrimony" and the faith-based film "God's Not Dead: A Light in Darkness." Tiffany Haddish and Maya Rudolph presented at the Oscars together and broke the internet. They walked out in slippers, tired of their shoes, assured the audience they don’t have to worry about #OscarsSoWhite and Haddish told Meryl Streep she wants to play her daughter. Social media went crazy and called for Oscars to have Haddish and Rudolph host in 2019. Some said they should have been hosting this year. "The Emoji Movie" has received Hollywood's most famous frown, the Razzie Award, for worst picture of 2017. It's the first animated feature in 38 years to earn the top dishonor, and also took home three other Razzies including worst screenplay and worst director. The annual awards bestowed on the worst the movie business has to offer were announced Saturday in their traditional spot, the day before the Academy Awards. STOCKBRIDGE, Ga. (AP) — A Georgia church administrator says Tyler Perry bought the church a new van to replace their stolen one. WSB-TV reports members of the Lighthouse Community Church in Stockbridge said they showed up for service and that their 15-seat van was gone, leaving only a pile of broken glass from a shattered window. “The Paynes,” a spinoff of Tyler Perry’s popular, long-running sitcom “House of Payne,” comes to OWN: Oprah Winfrey Network, with Cassi Davis and LeVan Davis reprising their roles as Ella and Curtis Payne. The series, which premiered on Tuesday, will air Fridays at 9 p.m.
NEW YORK (AP) — Tyler Perry has always relied on the word of God to lift him up in troubling times, but even he admits the onslaught of negative headlines over the past 18 months has tested his spirit. What’s playing in Aiken for the weekend of Nov. 17? Batman and Wonder Woman recruit a team of superheroes to defend the planet against a new threat. With Ben Affleck, Henry Cavill, Gal Gadot, Raymond Fisher, Jason Momoa, Ezra Miller. Written by Chris Terrio and Joss Whedon; story by Terrio & Zack Snyder, based on characters from DC Entertainment, Superman created by Jerry Siegel and Joe Shuster. Directed by Snyder. (2:01) PG-13. LOS ANGELES (AP) — The God of Thunder had an even mightier opening weekend than expected. "Thor: Ragnarok," the third film in the series, scored a franchise best with a robust $122.7 million debut, making it the fourth-biggest opening of 2017. The Walt Disney Co. and Marvel film easily took the top spot for the weekend. In second place was "A Bad Moms Christmas," with $16.8 million. The sequel to last year's sleeper hit "Bad Moms" opened on Wednesday and has netted $21.3 million to date. NEW YORK (AP) — Though it fell short of expectations, the eighth "Saw" film, "Jigsaw," became the latest horror release to top the North American box office with $16.6 million, according to final ticket sale figures Monday. "Jigsaw" distributor Lionsgate also claimed the No. 2 spot with $10 million in the second week of release for "Tyler Perry's Boo 2! A Madea Halloween." NEW YORK (AP) — George Clooney's "Suburbicon" notched one of the most dismal wide-release debuts in recent years on a sluggish pre-Halloween weekend where the horror sequel "Jigsaw" topped all releases despite an underperforming debut. Actor/comedian David Mann and Grammy Award-winning gospel superstar Tamela Mann, the multi-talented husband and wife duo known for their work in Tyler Perry theatrical productions such as “I Can Do Bad All By Myself” and “What’s Done in the Dark,” as well as the TV comedies “Meet the Browns” and “Mann and Wife” bring their “Mann’s World Family Tour” to Sharon Baptist Church, 3955 Conshohocken Ave, for one show only tonight at 7 p.m.
"Tyler Perry's Boo 2: A Madea Halloween" topped the box office this weekend, with $21.7 million. And "Geostorm" starring GERARD BUTLER was a big budget FLOP, opening with just $13.3 million. The new firefighter movie "Only the Brave" opened with $6 million, and the new horror flick "The Snowman"was another bomb, taking in $3.4 million. Last week's top movie, "Happy Death Day", dropped to third. LOS ANGELES (AP) — "Tyler Perry's Boo 2! A Madea Halloween" opened in first place this weekend with $21.2 million from North American theaters, beating out spectacle and star-driven newcomers like "Geostorm," ''Only the Brave" and "The Snowman." The disaster epic "Geostorm" flopped with $13.7 million against a reported $120 million production budget in its first weekend in theaters. The long-delayed pic starring Gerard Butler did not connect with critics or audiences. Perry's comedy sequel "Boo 2! A Madea Halloween" scared up a healthy $21.7 million in its first weekend in theaters, but the waters were rough for other new openers including the disaster epic "Geostorm," the firefighter drama "Only the Brave" and the crime thriller "The Snowman." Rotten Tomatoes says 26 percent.